We will act honourably and in a professional manner. We will render the best possible service under the circumstances, always keeping the best interests of our client in mind. We will engage only in fair trade practices in the knowledge that we reflect the honesty and integrity for which the Piano Technicians Guild stands. 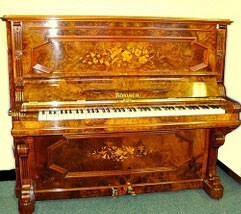 We will use the name and trademarks of the Piano Technicians Guild properly and will encourage others to do the same. We will strive to upgrade our professional skills and will encourage and help others to do the same. We will promote, in any way we can, good will toward our profession and toward the music industry. So. You have an eight year old and you think he might be talented, another Artur Rubinstein, or just wants to play for his own amusement - Do you REALLY want to do this ? We make a great deal of business out of peoples' mistakes. There is so much more to buying a piano that browsing through the newspaper or looking on the internet and hoping for the best. How long does a piano last? Contrary to popular belief, pianos do not last forever. Their life expectancy is directly determined by the quality and quantity of applied tuning and maintenance that they have received over the years. 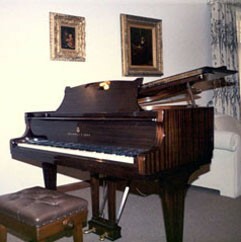 Pianos that have dried out "up country" often have structural faults and are best avoided. This is why it is so important to know the history of what you are buying. 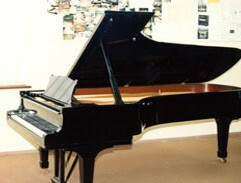 If you want to buy a piano privately or from a dealer, it's no problem. We will look at it for you (for a reasonable fee) give it a thorough inspection, play it, and give you an open, honest appraisal. If you buy it, you've got to have it moved, tuned and possibly serviced and this is what we do for a living. 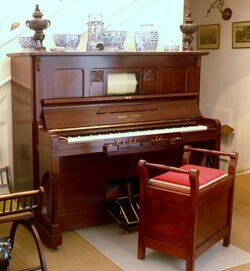 Most pianos that are advertised in the newspapers or the internet and nearly all sold at auction have something wrong with them or have been tarted up for sale; or, are just plain old, clapped out pianos. Bargains don't exist at the bottom end of the market, only liabilities. Playing the piano is about developing technique - like learning to touch type. If you give a child a lousy piano to learn on it's like tying their hands and feet together, throwing them in the pool and saying "when you can swim I'll untie your hands and feet" - the child might learn to float but will never develop any reasonable style or win any races. In fact it will hardly be surprising when the child gives up. "See, I said it would be a five minute wonder" - Not really fair is it? 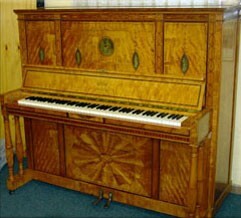 Far too many people buy a piano for what it looks like. It has got to be said that this is crazy! - you're not buying a dining room table, but a musical instrument that works under 20 tons of pressure and has thousands of moving parts. 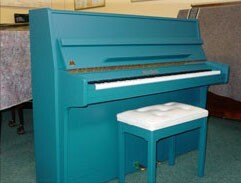 So OK, you care about what you put in your home, and if you have a printing press for money you can have what you want; but if you're buying a piano with a restricted budget, for a child to learn on, surely it makes good sense to put the most amount of money you have into buying a structurally & mechanically sound instrument that will give your child the best possible chance of actually achieving something, not cost you an arm and a leg on maintenance bills and be re-saleable easily if the child gives up. Not so ? You can always trade-up later. If you buy an old car with 300,000km on the clock you don't need to be Einstein to work out that it's going to cost you a lot of money somewhere down the line. If you KNOW that fillet steak is around R 200.00 per kilo and someone, somewhere, is offering YOU some at R 60.00 a kilo, there has to be a catch, YES ? Obvious really, and common sense, isn't it? Yet every week some naive person gets caught! And, here's the worst part - it's another poor child's musical career "down the tubes". Playing the piano is 5% talent and 95% work (just like most things in life). The pre-requisites are a good piano that is responsive and will therefore allow you to develop a technique, a Good teacher who will inspire you, and self-discipline or dedication. Fact! Its more important whom you deal with than what you buy! 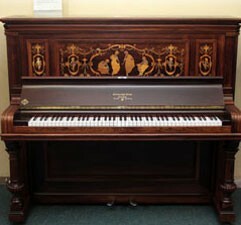 We are the tuner-restorers for the pianos and harpsichords at Artscape and UCT approved suppliers.